I like a good horror novel, and I’m always willing to try out a new author, however, not everyone can pull off a good story. 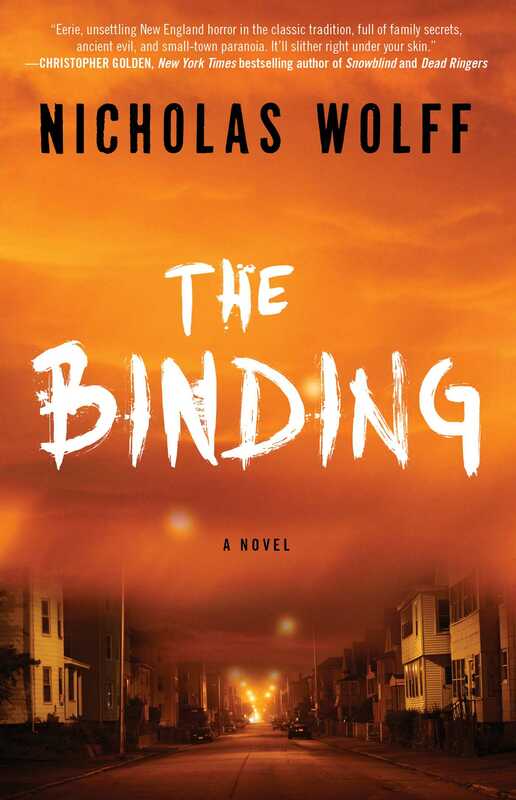 The Binding is set in New England with a story that slowly, very slowly, reveals itself to be a zombie voodoo witch doctor story. It’s a good premise, but the author struggles to develop and maintain good characters. There’s potential, but it’s destroyed by shallow, erratic character decisions and unlikeable characteristics. Underneath it all, there’s a good story idea, but as with the characters, the author struggles to bring that story to life. Sometimes keeping readers in the dark is a bad move. With The Binding, the first half of the book keeps the plot shrouded in mystery as the story darts between serial killers, ghosts and straight up zombies. The author keeps readers guessing at what the threat is. When the plot is finally revealed halfway through, it seemed like a glimmer of hope. But the author does two things that really rob the story of its impact. First, he relies on telling the origin of the zombie threat via a journal which leads to a slightly stilted and less than enjoyable experience. The actually style of the narrative changes as it’s literally pages from a diary. Had they done this reveal as a flashback, it would have worked a lot better, as this is a sizeable chunk of the book. The author is good at submersing the reader in the scenery and in the shoes of the characters. By telling the origin via journal entries, the reader is removed from the experience, thus making it less impactful. The second issue is that the big climax of the story comes to a sudden, confusing halt and it’s told mostly in the form of a doctor’s report. This again robs the story of impact, divorcing the reader from the intimacy of the action and unfurling events. The final chapter jumps to another character, providing minimal closure for the book. There are tons of unanswered questions, and I can’t help but feel the author took shortcuts to finish the story rather than taking the time to tell the whole thing. On top of the flaws in the structure of the story, the author also utilizes very flawed characters. Now people often add flaws to their characters to make them more believable and realistic. However, the flaws in this book make the characters unlikeable. In a way, I guess there’s a delicate balance between adding flaws to characters to make them interesting, and going too far with the flaws to the point that it makes them unlikeable. It’s hard to get behind any of the characters. So, how can a book with so many flaws still be worth a possible read? Well, the one saving grace of the book is the idea buried deep within. Now this is a major spoiler, so if there’s any chance you still might be interested in reading the book, stop now. For those who aren’t willing to suffer through the story to find out what it’s all about, here goes. The things in the book aren’t ghosts, they’re nzombes under the sway of an evil sorcerer call The Traveller. The Traveller can possess both the living and the dead and he’s been haunting this community for a long time. Way back in 1919, members of the community where part of a military expedition to Haiti where they wound up torturing this sorcerer and killing him. However, they didn’t truly kill him. Such was his power that he was able to haunt them by taking over others, whether alive or dead, thus cursing the families who caused him pain. It’s a pretty cool story idea and a very different twist on zombies. Alas, the weaknesses mentioned above cause the overall story to fall way shot of what it could have been. As is, I give The Binding a three out of five metal bikinis. It had potential but the author was not able to pull it off.